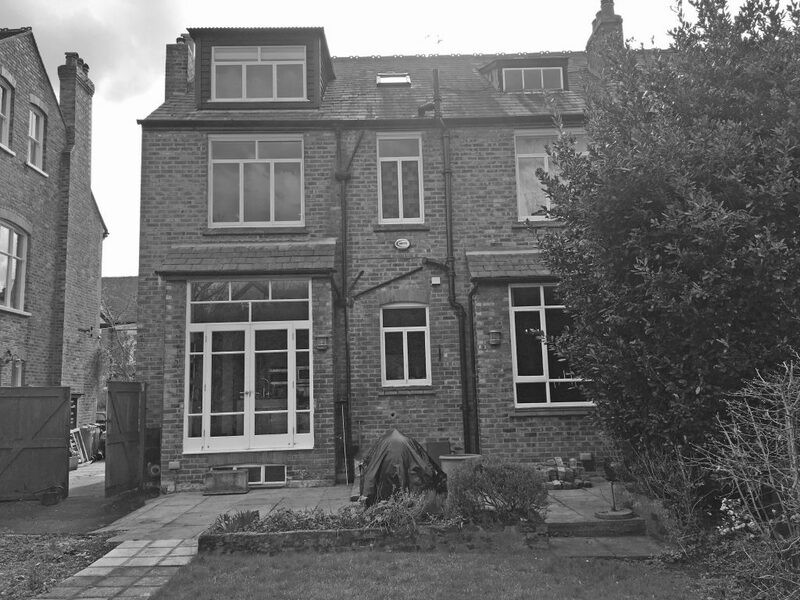 Our client’s brief was to extensively remodel and extend their existing semi-detached home. Each of the 4 floors were addressed, with the significant move to connect the lower-ground and ground floors via 5m high sliding glass doors. Free of any horizontal structure, these automated doors allows the ability to open 2 storeys of living accommodation at the touch of a button. 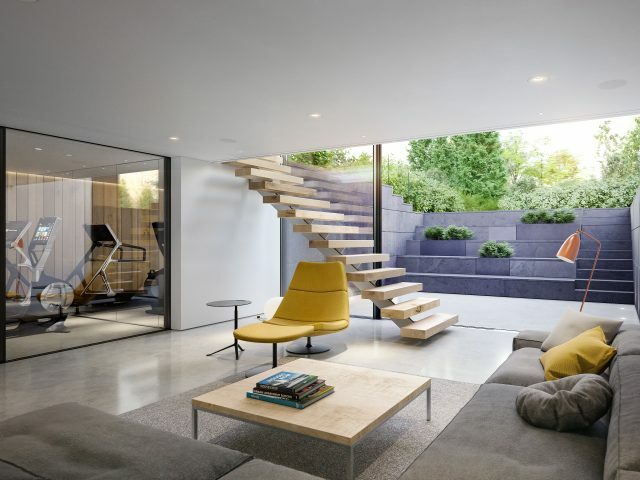 This opening, connected via double-height stair void, creates a dramatic feature that fuses internal and external living. The lower ground floor, previously dark cellular spaces used for storage, is transformed to a light-filled living space and fitness suite. The garden is pulled into this space via stepped informal seating, clad in slate and punched with integrated planter boxes. 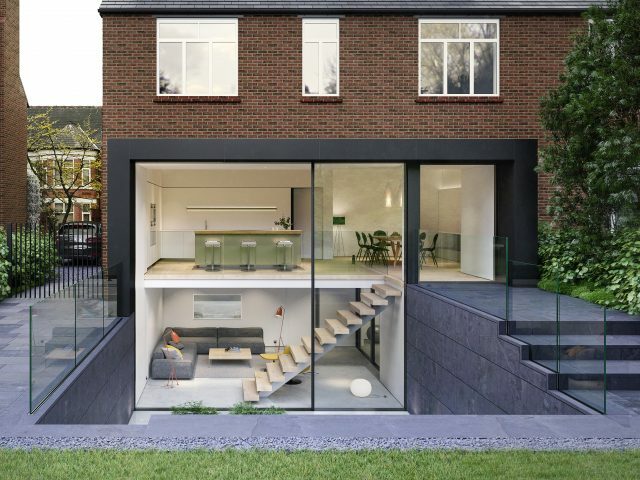 Hidden external doors, clad in slate, unveil an external kitchen and pizza oven for entertaining.